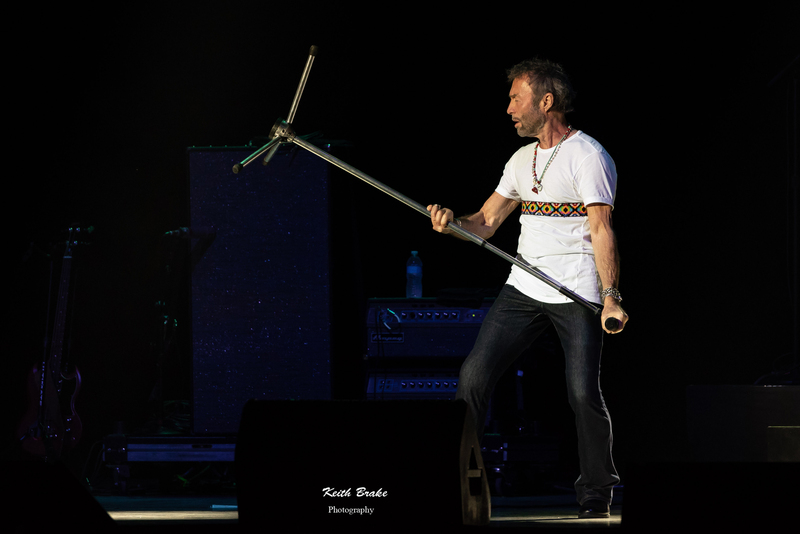 Paul Rodgers performing at Hollywood Casino Amphitheatre Saturday. Photo by Keith Brake Photography. I think it is safe to say that most concerts nowadays are production masterpieces of timed lighting and choreographed dancing with all the bells and whistles, and we all love the show as it is awesome. With that said there is still and always will be something magical about acts that forego the elaborate and just let it rip, captivating your with their musical prowess. 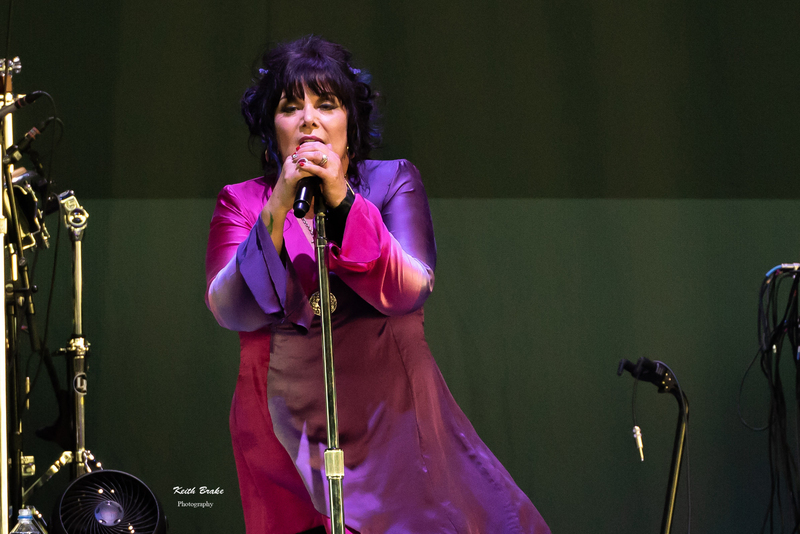 “The Stars Align Tour” made a stop at The Hollywood Casino Amphitheatre Saturday, July 28 2018 featuring Ann Wilson, Jeff Beck and Paul Rogers. Ann summed up the most appropriately when she said to the crowd “You won’t see anything fancy here tonight, just great musicians playing great music”. I must say, she was spot on as this tour showcases some amazing talent. 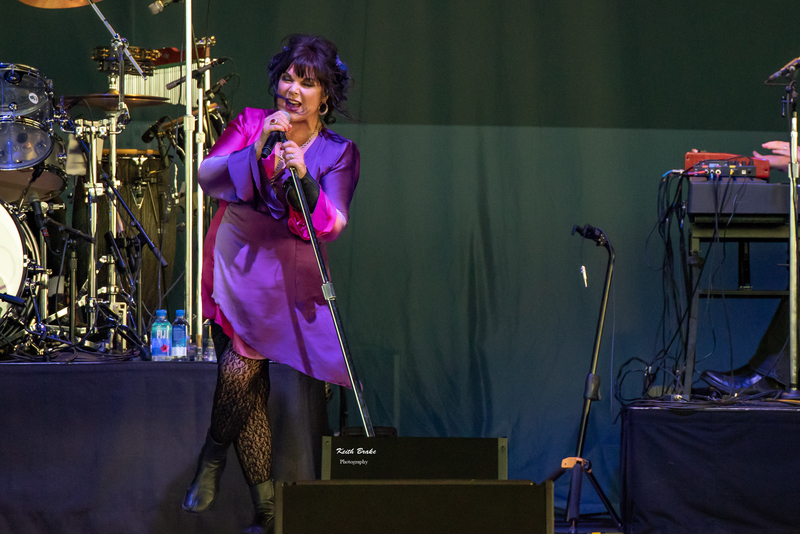 Ann Wilson performing at Hollywood Casino Amphitheatre Saturday. Photo by Keith Brake Photography. Ann Wilson took the stage to treat the crowd with a bevy of selections from her new album “Immortal”. Some would refer to this album as a “cover” album, technically it is, and I would have thought nothing of labeling it as such until I saw Ann perform these songs live. The selections are deeper cuts from rock artists that have passed on sang in Wilsons iconic style. When performed live these selection are not covers, they are amazing tributes to amazing people the world could never replace; they are powerful and tasteful, just as they should be. Ann did perform one selection from the Heart era (Barracuda) but the highlight of the set for me was her tribute to Chris Cornell, I am The Highway. As I listened to Wilson’s interpretation of the song all I could do was smile; I am sure just the way Chris would be if were there. Next to the stage was Mr. Jeff Beck. From the Yardbird days until present Beck has been amazing audiences with his phenomenal guitar skills. When Beck took the stage the crowd extended a great ovation before a note was even struck, I mean after all, it IS Jeff Beck. Beck has surrounded himself with a masterful group of musicians for this tour. 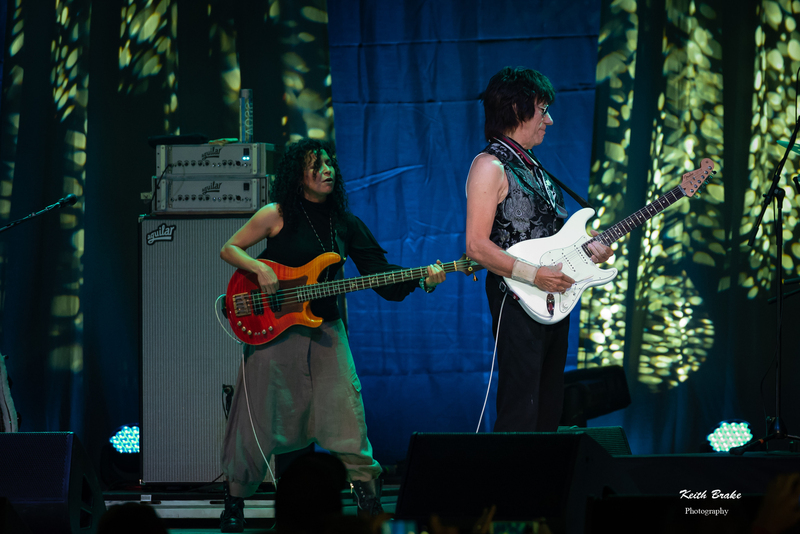 Jimmy Hall (vocals), Rhonda Smith (bass), Vinnie Colaiuta (drums) and Vanessa Freebairn-Smith on cello. This group is as talented as they come and I was very satisfied that they all were allowed time to shine on stage as Jeff graciously showed appreciation for their talents. Beck played many numbers from his extensive library and they were all amazing but one song stole the whole set in my opinion, “Little Wing”. Beck introduced the song by simply saying “This is my version of this song” and his version was hands down the best I have ever witnessed this song live. Beck’s guitar stylings in tandem with Jimmy Hall’s amazingly powerful vocals sent this selection over the moon for me and is now enshrined in my catalog of most amazing musical memories. It was simply amazing. Jeff Back performing at Hollywood Casino Amphitheatre Saturday. Photo by Keith Brake Photography. 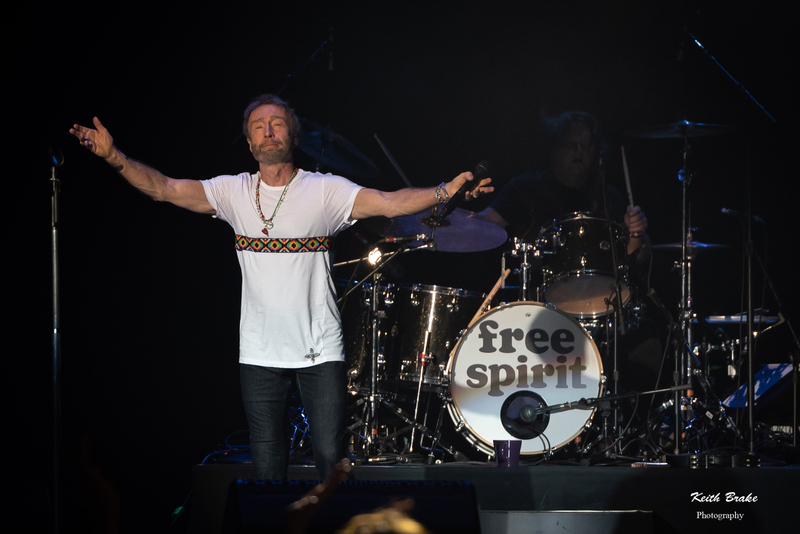 Closing out the show, Paul Rodgers; if you don’t recognize the name you would most certainly recognize the voice. Paul has been cultivating hit after hit since the 1960’s and still sounds every bit as amazing as he ever did. Paul and his band continued the theme of the evening by continuing with amazing performances, one right after the other. One think thing that stuck out to me is how Paul still works the stage, spinning mic stands, invoking the crowd to participate; quintessential rock and roll. As I mentioned earlier Paul’s set is riddled with hits, Wishing Well, Ready for Love, Feel Like Making Love, Shooting Star and on and on. With a set as solid as this picking a highlight is almost impossible but if forced to choose I would choose the number he opened with, Wishing Well. What stood out to me more than any individual song is how Paul still loves performing, smiles and crowd engagement and a high energy charisma; one could not ask for more. Every selection of this set seemed to get better and better as Paul went along finally ending with an encore of the Free mega hit “All Right Now”…an amazing end to an amazing evening. To sum up this tour simply, it is old school rock and roll; raw and gritty and pure, all the elements of a rock and roll fantasy. These artists are all iconic in their own right and still live up to their reputations, not one single disappointing moment the whole evening. I think it’s pretty easy to see that I highly recommend attending The Stars Align Tour if you can, next stop is Clarkston MI and then on to Toronto. The tour runs through August of 2018, hopefully with a date near you. Be sure to check out the photo gallery and leave me a comment below the images. Jeff Back band performing at Hollywood Casino Amphitheatre Saturday. Photo by Keith Brake Photography.